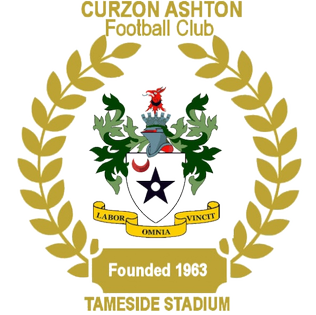 Chester climbed top of the National League North – for 24 hours at least – with a clinical and organised display this evening at Tameside Stadium. First half goals from Simon Grand and Anthony Dudley set the tone for an excellent nights work for ‘Bern and Jonno’ – before John Pritchard struck on the hour mark to make it three goals and three points. It was an unchanged starting XI from Saturday’s curtain raising goalless draw with Spennymoor – and it was the hosts who started brightly. It might have been a different game had Chris Sharp taken his chance on nine minutes – a ball through the middle allowed him in on goal but the forward blazed his effort over the bar. But the Blues gradually began to get a foothold in the game and, seconds before the opener, Gary Stopforth was brilliantly denied by Cameron Mason. From the resulting corner, John Pritchard whipped it in and Simon Grand escaped his marker to bullet a header home at the near post. Half chances for the hosts came and went: a dangerous ball across by Daniel Morton was well turned away by Steve Howson – before Connor Hughes could quite time his jump to meet Chris Rowney’s cross. Nevertheless, this game is all about being ruthless – and Chester were exactly that in front of goal. Salford City loanee striker Anthony Dudley was the man to double the advantage. 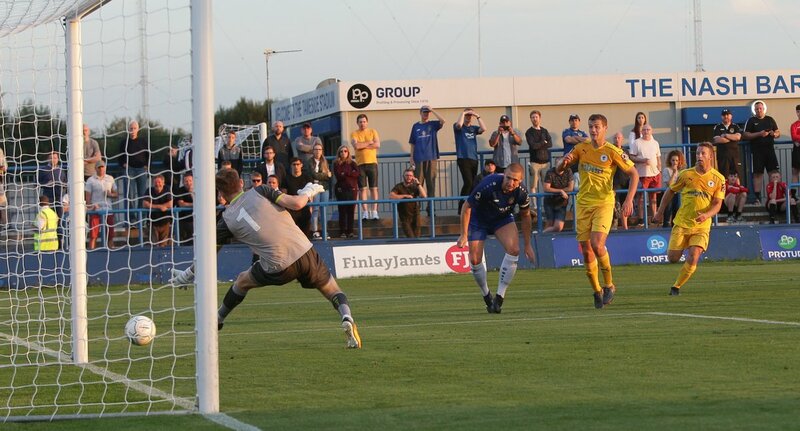 Gary Roberts’ clipped ball forward got round the Curzon defence – with the help of Gary Stopforth – allowing Dudley to rifle a low volley in at the near post from a tight angle. Two became three on the hour mark. A dart into the box from Captain Roberts allowed to him tee up Dominic Smalley – who sent a dangerous cross from the right to the back post. Pritchard was lurking as the ball hit the back of the net – possibly off a defender – but we’ll give it to him until anyone else says otherwise! The Blues looked solid and organised at the back and Curzon opportunities were limited in the final half an hour. Sharp had a shot well blocked by the impressive Danny Livesey and Grant Shenton was alert in his box when required. Three goals and three points. A good days work. 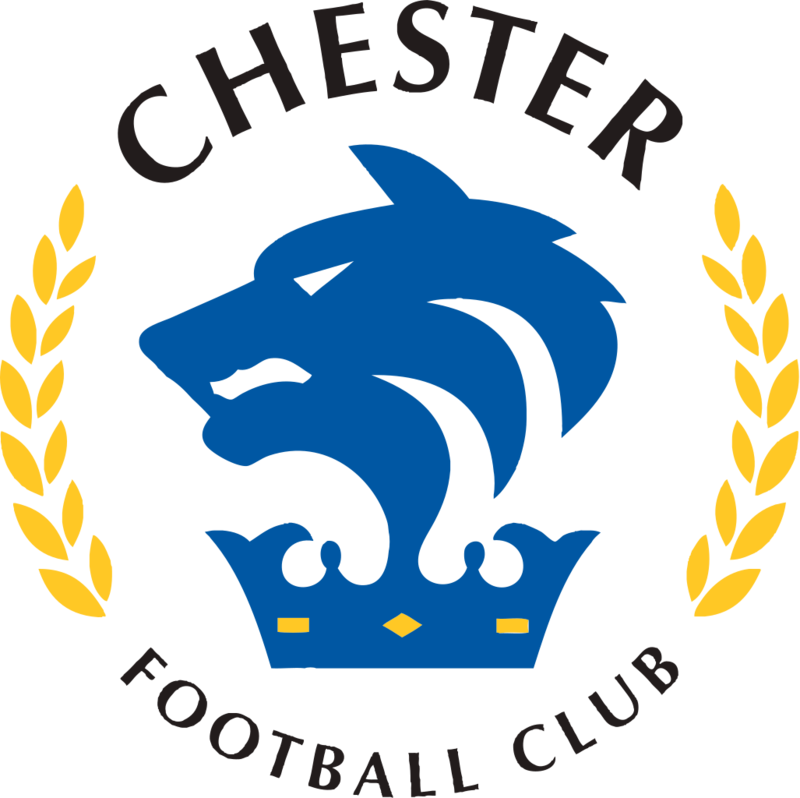 Chester FC: Shenton, Dom Smalley (Thomson 81), Howson, Grand, Livesey, Pritchard, Roberts, Stopforth, Mooney (Brown 72), Tuton (Mahon 69), Dudley. Subs Not Used: Downes, Moran. Goals: Grand 22, Dudley 37, Pritchard 60.